Douglas Ingham (second left) with some of his crew. Can anyone identify the other crew members? The site administrators have a list of Flt/Lt Ingham's operations from 1 Nov 1944 to 17 Apr 1945. If you would like further details please contact us. My Grandfather went on after the war to own an Auckland landmark Inghams Hardware. I grew up hearing many stories of him and his crew flying over Germany, blocking radar, putting out a fire in their engine, him passing out over Germany to awake with him crew taping his mask back onto his face and trying to revive him. Buried in SEPT-SAULX CHURCHYARD. Reference : Grave 7. Son of Ernest and Nora J. Ingram, of Campbellford, Ontario, Canada. Sgt William Desmond Ingrams, 759238, Royal Air Force Volunteer Reserve , Nationality : United Kingdom. KIA 07 December 1940. Named on the following Memorial : Runnymede Memorial. Panel 15. Son of Joseph Frederick and Margaret Inman, of Cartmel, Lancashire. Peter lived in Cartmel until he joined the RAF. He attended Cartmel School and Ulverston Grammar. After leaving school he worked for Grange Motors, in the office at "Lymehurst" and booking office at Crown Hill, organising coach tours around the country and helping to run the local bus service. He also did duty as bus conductor. 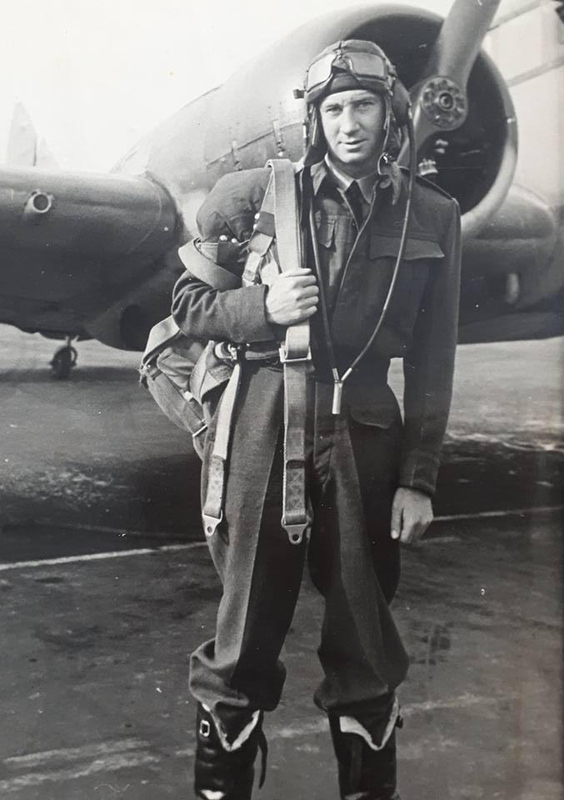 Peter joined the RAF from home at Garrett Houses and went to Wilmslow and Blackpool for basic training. He was then posted to Wellesbourne-Mountford a Number 6 Group Operational Training Unit (OTU), Abingdon - 6 Group Headquarters, to Manby, Yorkshire for air-gunnery training, then Haverigg for three months, back to Abingdon and, finally to his operational base, Stradishall in Suffolk as a W O / Air Gunner. The mission on 3 July 1942 was Sgt. Inman's 9th mission, four of them the famous 1000 bomber raids. He would have arrived back to enjoy a long, 2 month, leave. Peter is fondly remembered locally, most people saying, "He was a nice lad, Peter." His mother died in 1966, his father in 1974. Peter's brother lives a few miles away. Joseph F. Inman was a member of the Border Regiment. He was conscripted in 1917 and won the Military Medal as a Lewis gunner in 1918. The people of the area where Peter's aircraft came down sent a miniature Dutch flag to Cartmel, as a token of gratitude. Mr Inman places this flag on the War Memorial every Remembrance Day. 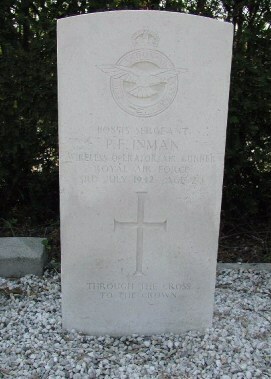 The following information regarding Peter Inman is the result of the tireless research of Howard Martin, without which, Peter's sacrifice would have been lost in time and simply another grave in another cemetery. Howard has kindly allowed me to copy this information from his site, and Peter once again can take his place among his comrades and friends. Son of Colonel Sydney Armitage Innes, D.S.O., and of Constance Edith Innes (nee Blain), of Perth. 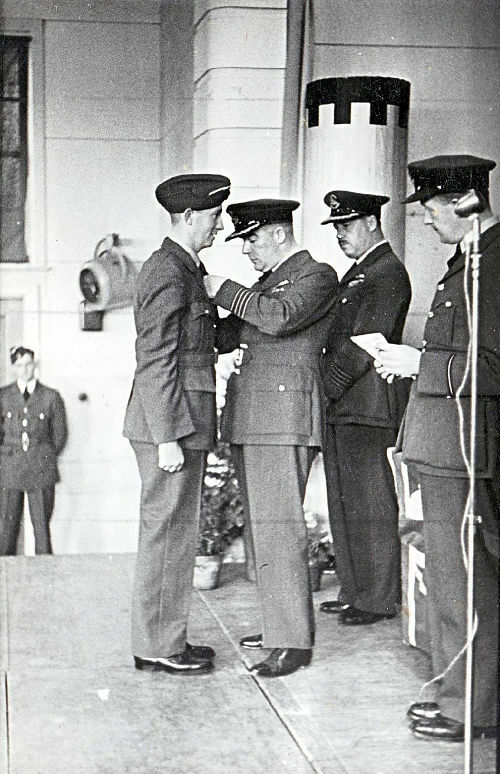 Flying Officer Innes of Perth, Scotland, was attached to No. 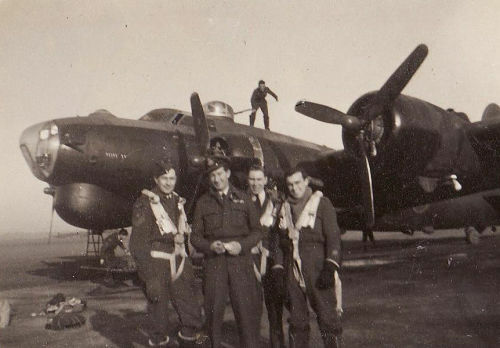 149 Squadron when he died. 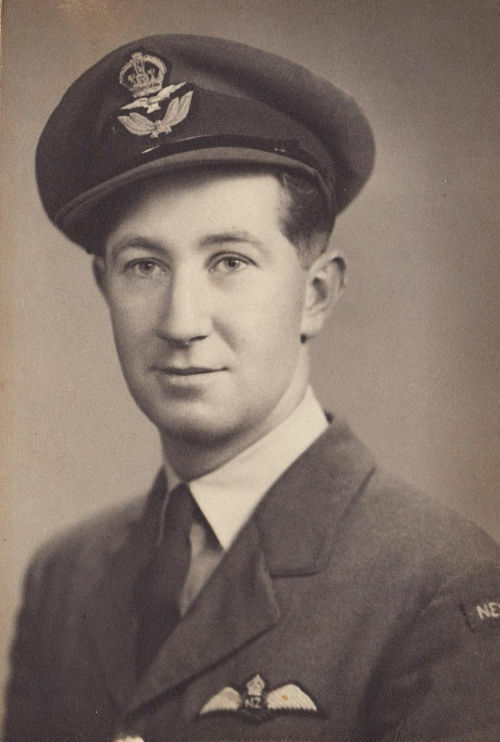 Sgt Christopher John Irwin, 924231,Royal Air Force Volunteer Reserve, Nationality : United Kingdom. KIA on 28 January 1942 on operations over Germany aged 21. Son of Bertie and Elizabeth Jane Irwin, of Braunton, Devon. Named on RUNNYMEDE MEMORIAL. Panel 86. See W/O Harry Ward's memoirs for 26 January 1942 for his recollections of Sgt Christopher Irwin.